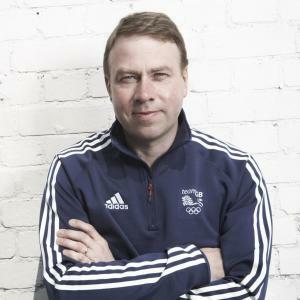 Andy Hunt is CEO of the British Olympic Association (BOA) and the Team GB Chef De Mission for the London 2012 Olympic Games. He has kindly taken the time to talk to the Butler Scholarly Journal about his experiences of the 2012 Olympics and his vision of the future for Team GB. Best sporting moment of the Olympics for Team GB in your opinion? With some of the greatest moments in British Olympic sporting history taking place at London 2012 it’s impossible to single out one achievement by a British Olympic athlete. But of course Helen Glover & Heather Stanning winning the first Gold of the Games for Team GB in the Women’s Pair on day 5 and that medal also being Team GB’s first ever women’s rowing Gold medal in history, was a very special moment indeed. It was the moment that the nation believed in the team, the support went wild and the Gold rush began. How would you describe the ‘Team GB experience’? The Team GB Experience was the description that we gave to our final induction, orientation and kitting-out of Team GB at Loughborough University, before final training or entering the Olympic Village. For many athletes it was the symbolic moment when they transitioned from their sport into One Team GB. Much has been said about the positive sporting legacy of the 2012 Olympics for young people. Have you seen evidence that the seeds sewn by the Olympics have been reaped in its aftermath? There is strong evidence to suggest that young people have been inspired by the 2012 Olympic Games in many different ways and there has already been data published by Government that demonstrates an uplift in sports participation. However, translating inspiration into a long term change in behaviour is not easy and everyone will have their part to play to see that a participation legacy is delivered. “Better Never Stops”- what does this motto mean for Team GB in Rio 2016? Better Never Stops is our modern expression of the Olympic motto of Faster, Higher, Stronger. It symbolises the journey of relentless improvement and the pursuit of excellence that everyone involved in the Olympic movement strives for. The achievements of Team GB in London in 2012 were our best since 1908, so if we want to go on and improve in Rio, we will have to identify all of the countless small things that we can do even better in 2016. It is the identification, execution and aggregation of those small advantages that will give us incremental success in 4 years’ time. Reflecting on the Olympics- on both its preparation and its realisation- what was your proudest moment? Leading and supporting the British Olympic team over 4 years of planning and execution to its greatest success in over a century.